Surrounded by tropical rainforests, inviting coastline with the perfect blend of historical heritages, this West African country offers the best of both sides. Dakar, which is the largest and the capital city of Senegal, is a fast growing city filled with markets, museums and other historical structures. This destination is the perfect stop before exploring the sights and wonders of this West African country. Dakar is also home to various important museums including the Musee Theodore Monod (for African Art) and other historically significant institutes. Also known as Lake Retba, Pink Lake or locally called as Lac Rose is probably Senegal’s most famous tourist attractions because of its noticeable uniqueness. This destination is less than an hour away from the country’s capital Dakar. The bright and distinctive pink color of the Lac Rose or Lake Retba came from high salt content, which is said to be comparable to that of the Dead Sea. One of the most historically significant places not only in Senegal but the whole African continent, Ile de Goree or Goree Island is the most famous place that displays Atlantic slave trade during the 15th and 16th centuries. This destination is a UNESCO World Heritage site, and is where the Maison des Esclaves or House of Slaves is located. Ile de Goree may encompass the sad history of slavery during the ancient times, but its captivating architectures and heritages make it a place not to miss. Saint Louis, which is the former capital of Senegal, is considered as one of the oldest city founded in the African continent ran by Europeans. This destination is known for its well representation of the West African culture which adds more factors to their economy, as it attracts more visitors as years passed. Saint Louis was listed as a UNESCO World Heritage site back in 2000 as it is surrounded by colonial architectures, which embodies the town’s rich history. 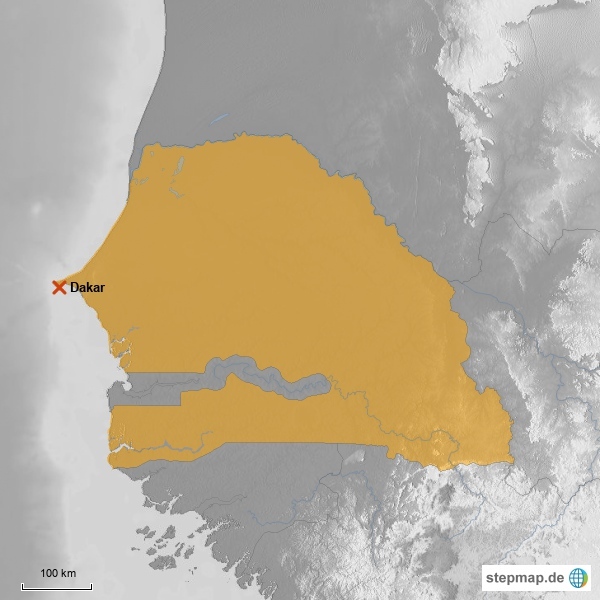 Founded in 1976, Saloum Delta National Park or locally known as Parc National du Delta du Saloum stretches 76,000 hectares and is the second largest national park in Senegal. This destination is famous for its mangrove trees and huge marine zone. Saloum Delta National Park is also home to various wildlife species like bushbucks, boars, jackals and some hyenas. Although it is part of Senegal, Casamance strongly display its difference from Dakar’s culture and surroundings because of the influence it adopted from other ethnic groups of the Mali Empire. This destination is also known for its pristine beaches as it lies on the coast of the Atlantic Ocean. Casamance attracts tourists because of its uniqueness and notable beauty including its alluring sandy beaches. A region in Senegal near Petite Cote and Gambia, Sine Saloum Delta is surrounded by swamp islands and other forms of nature. This destination also has lagoons and water channels, oftentimes called bolongs. Flamingos are also visible within the region which attracts tourists. Sine Saloum Delta also offer boat trips where visitors will cruise the river delta while visitors observe local’s daily living. A known shelter to various migratory bird species, Djoudj National Park or more commonly known as the Djoudi Natural Bird Sanctuary is found along the Senegal River delta. There are some species of pelicans, flamingos and other kinds of birds that can be found here. Djoudi National Bird Park is listed as UNESCO World Heritage site and this is possibly one of Africa’s captivatingly amazing birds paradise. Located in the capital city of Senegal Dakar, the Grand Mosque is probably the most important religious structure across the country. This destination is famous for its minaret that is being lit every night, which attract more visitors and answer their curiosity. Grand Mosque was established in 1964 that bears several religious structures noticeable within the area, which symbolizes unity even if they have their own beliefs.